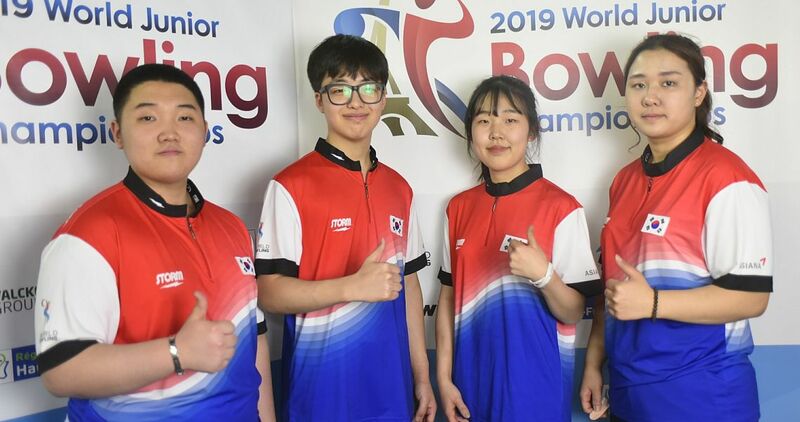 Asian powerhouse South Korea finished the second block of the Trios event with two big games to shoot into the lead in the Trios preliminaries of the 2018 CGSE • Million Tinkle World Men Championship at SCAA Bowling Center in Causeway Bay in Hong Kong, China Friday afternoon. 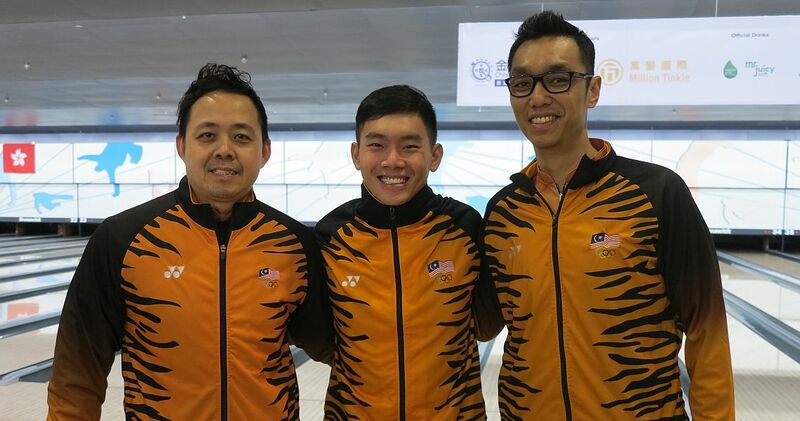 Park Jongwoo, Koo Seonghoi and Kim Kyungmin (featured photo from left), who won the coveted team gold medal in the 18th Asian Games Jakarta Palembang 2018 led Squad 3 after the first block with 1971 yesterday, but started the second day in fifth position overall, just outside the top 4, who will advance to the medal round on Monday, Dec. 3. 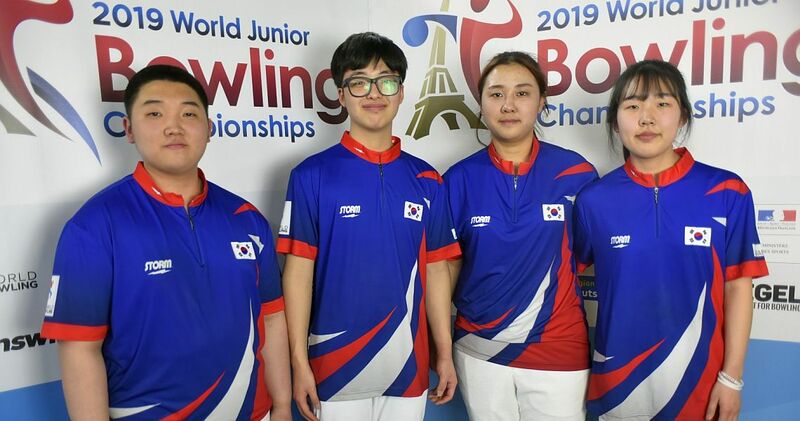 The Koreans started the second block, which was played on the same lane condition as in the first block, with their low game of 553, but remained in first place in the squad with 2524. 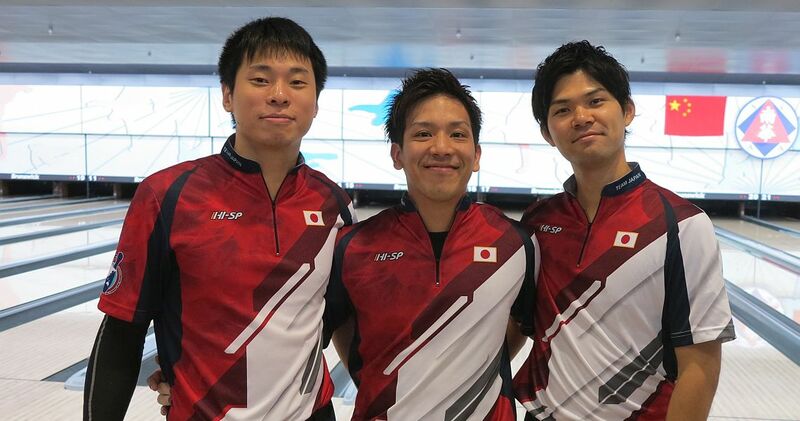 Asian Games Trios champions Tomoyuki Sasaki, Shusaku Asato and Shogo Wada of Japan (left, l-r) answered with 625 to stay in second place but to narrow the gap by 72 pins with 2464 total. 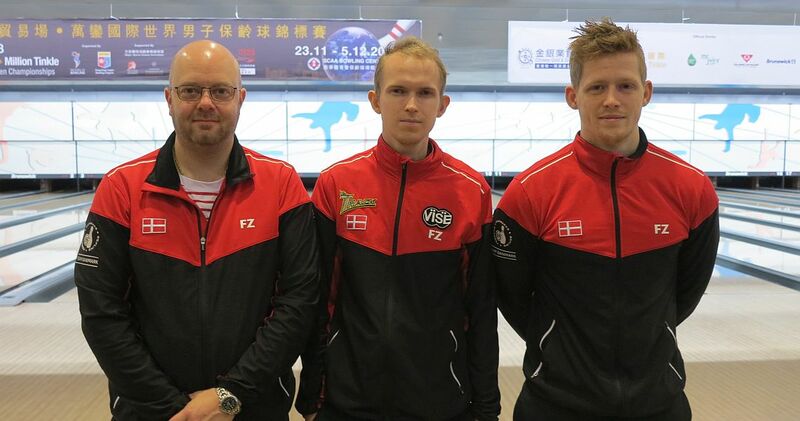 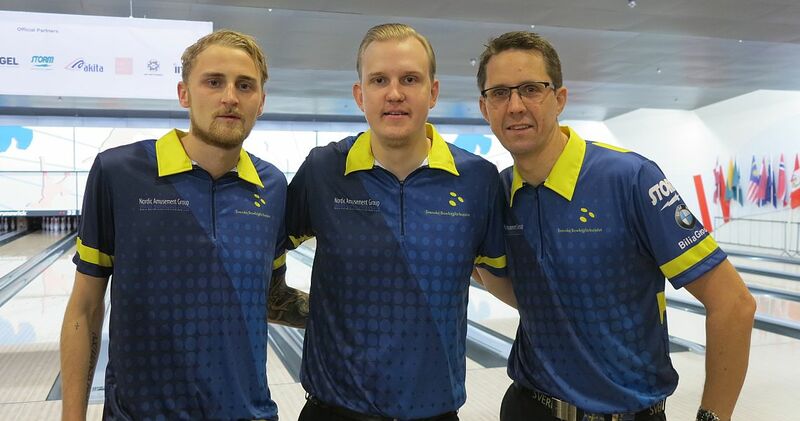 Seven-time European champion Jesper Agerbo and 2014 World Champions in Trios Carsten Warming Hansen and Thomas Larsen (right, r-l) of Denmark had 601 to move into third place, with 2431 as Scotland, which was third after the first block, fell behind due to a low game of 505. 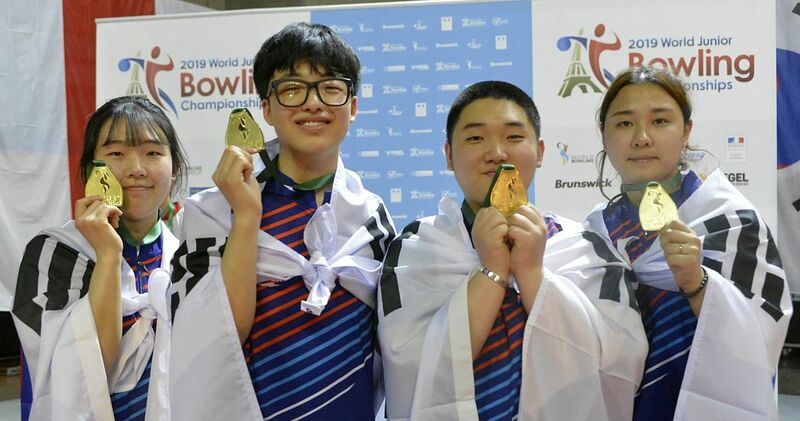 Korea rebounded nicely in game 2 with 725 (Seonghoi 279, Kyungmin 263) and added 711 (Jongwoo 244, Seonghoi 257) for a 1989 three-game series and 3960 total, an average of 220.00 to shoot into the overall lead with one more squad to go on Friday evening. Seonghoi led the team with 1434 and was followed by Kyungmin (1270) and Jongwoo (1256). First-block leaders Jesper Svensson, Mattias Wetterberg and Martin Larsen (left, l-r) slipped to second place with 3883 and were followed by fellow Squad 2 members Kimmo Lehtonen, Jari Ratia and Niko Oksanen of Finland in third place with 3812 and Graham Fach, David Simard and Zach Wilkins of Canada in fourth at 3759. Japan’s Sasaki, Asato and Wada finished with 1897 and 3736 total to miss the top 4 by just 23 pins. 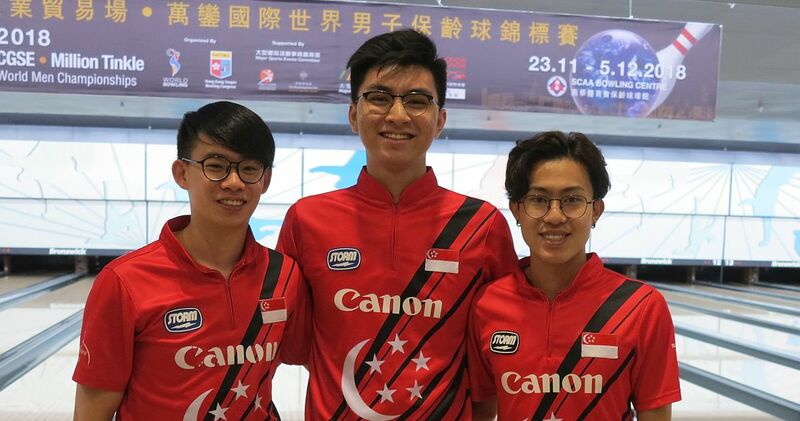 Denmark was third in this squad with 3689 and Basil Ng, Joel Tan and Jonovan Neo of Singapore (right) were fourth with 3637. Syafiq Ridhwan, Timmy Tan and Alex Liew (left, r-l) of Malaysia had the fourth-highest 1841 series in Squad 3 to improve their 1612 series from the first block by 229 pins and to finish with 3453 total. 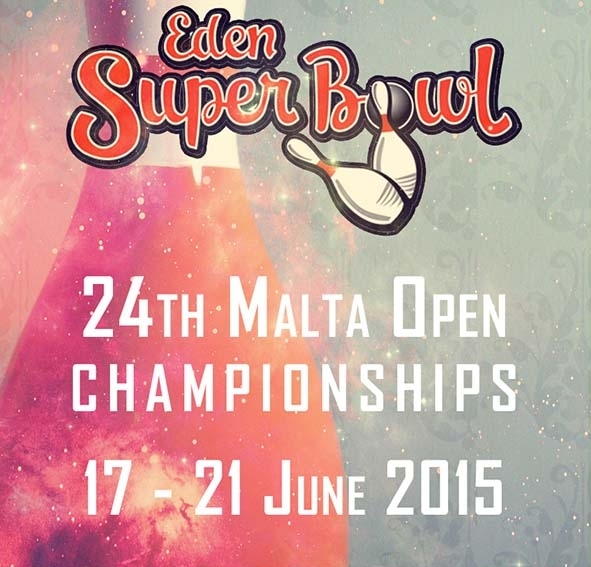 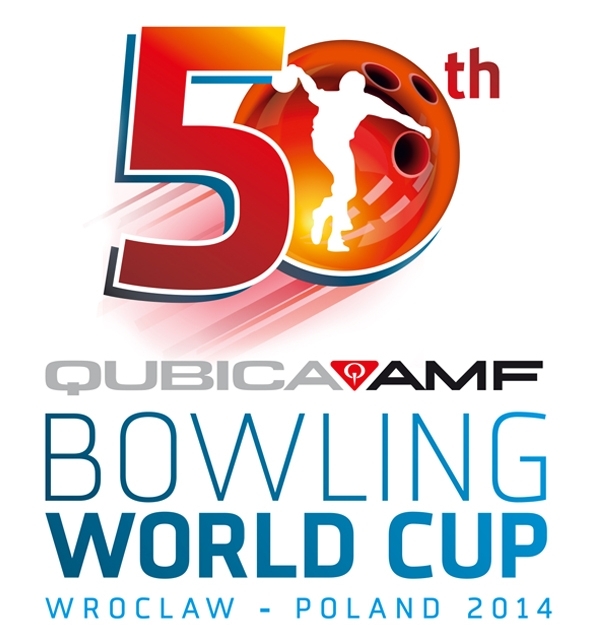 The 265-player field was split into three squads for the Trios preliminaries. 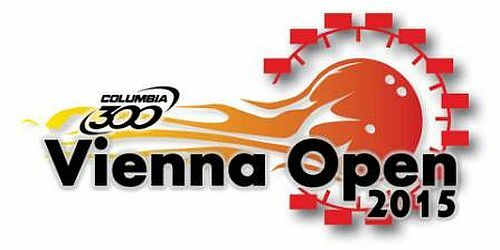 The first block of three games took place Thursday and second block followed on Friday. 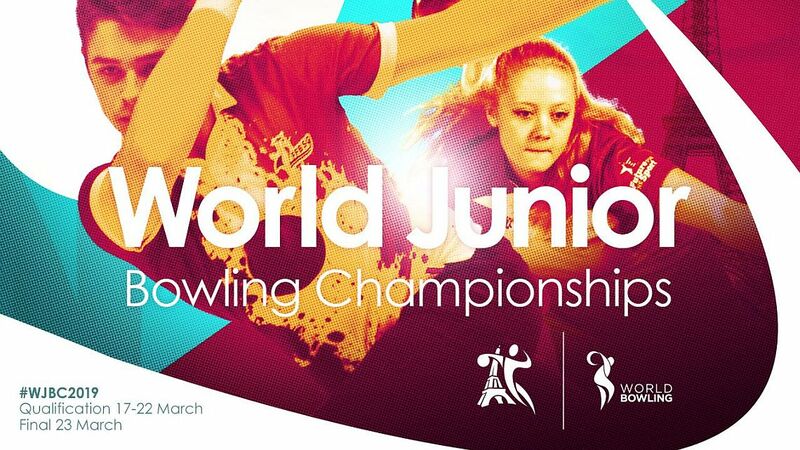 The 30 trios of Squad 1 will conclude the preliminaries later this evening. 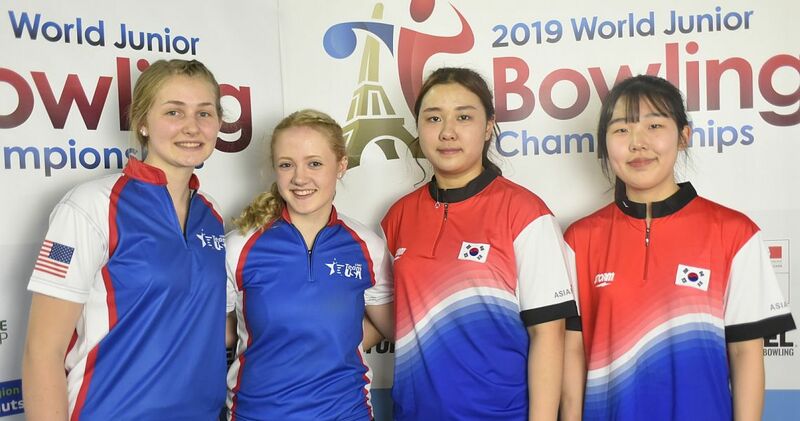 The top 4 trios will advance to the medal round on Monday, Dec. 3.